I have previously made my statement to the Portuguese Police in relation to my holiday visit to Portugal in April-May 2007. I stayed in the resort of Praia Da Luz and was there at the time of the disappearance of Madeleine Beth MC CANN. I had travelled to Portugal with my wife Jane TANNER, and our two daughters Ella and Evie, also travelling with us was our friends Matthew OLDFIELD, Rachael MAMPILLY and their daughter Grace. We were due to meet our mutual friends over in Portugal David and Fiona PAYNE, their two daughters Lilly and Scarlett along with Fiona’s mother Dianne WEBSTER, and Kate and Gerry MC CANN and their three children Madeleine, Sean and Amelie. We arrived in Portugal on Saturday 28th April 2007. On the 8th April 2008 officers from Leicestershire Constabulary interviewed me in order to clarify certain points and in order for me to provide further information where possible. The interviews were visually recorded, however I understand that due to technical difficulties the equipment failed to record. I have been informed that these questions arise from an official request from the Portuguese authorities. I am aware that my statement will be subject to the Portuguese Criminal Code in addition to English Law. I have been informed that this statement has been made from the monitoring notes which were taken at the time of the interviews being conducted. I have been given the opportunity to refresh my memory from the statement made by Jane TANNER (my wife) and I have been allowed to see these documents, this was done in the presence of DC 1578 GIERC. I wish to add that Jane’s statement covered our routine from the 28th April 2007-2nd May 2007 quite comprehensively and my original Portuguese statement referred to Jane’s statement, this was therefore a good point of reference for me. We have been away before as couples and have had various conversations about going away as families, the planning took place in January 2007, this was around the time that Jane and I were moving with the girls to Exeter- 3rd January 2007. It was Fiona and David PAYNE’S idea to go away and Jane and I were more than happy for them to do the organising as we were busy with moving house. We had all been away on Mark Warner holiday’s before, and they seemed to be a good destination. There were emails between us as a group, mainly exchanged with Matt and Dave, things weren’t so straight forward as we were all living in different parts of the country which made planning things very difficult. I am aware that David had made various requests to the Mark Warner Company and one of which was that all the apartments were to be in the same block, and preferably all to be near by to each other. I am aware that Matt had replied to an email sent by Dave, and by mistake had included Mark Warner on the same reply I recall that it said something along the lines of ‘Go Dave Go’. Dave is quite certain about what he expects from things, and is quite aware of his consumer rights and entitlements although it seemed to be quite trivial to me at the time. We were aware from the various emails that the resort was quite spread out, and Dave strived to keep us all together. I feel that this may have been construed by Mark Warner staff as having been annoying and the staff member receiving it may have been annoyed by it, I feel that this could be looked upon badly. We flew out from Gatwick airport having stayed the night with Matt and Rachael at their home which was near to the airport. The others flew out later the same day from East Midlands Airport. This was the first holiday that we had been on with the MC CANN family we had been away previously with the others in the group. We had been due to go away as couples to Majorca in 2005 but Jane had found out that she was pregnant days after we had booked the holiday, as far as I am aware our places had been given to another couple I believe by the name of Tara and Stuart GOLD. I’d describe our relationship with the couples as very good, I had met David PAYNE at Medical School in 1989 and we had stayed in Halls and Student Houses together, I met Fiona in 1993/1994 and was best-man at their wedding in 2003, we all went out to Tuscany in Italy for their Wedding. I recall that Matt and Rachael were there as were Gerry and Kate. I met Matt in my first year as a Doctor this was in around 1994, again I was close friends with him we lived in the same house, and I was best-man at their wedding in 1999. I have remained friends with Matt he moves around a lot and has worked in several places and countries. I would say that our relationship with Kate and Gerry MC CANN is not as close as with the other two couples, I first met Gerry when he was speaking at a conference in Atlanta in 1999, and I recall that we both had interest in the same aspects of cardiology. I recall that we exchanged emails with each other to discuss various aspects of our research. Gerry moved to the Glenfield hospital and worked in the same department as I did but I was based at the Leicester Royal Infirmary, at that time Gerry was my equivalent at Glenfield and a voice at the end of the phone- I’d say this was in 2001-2002. I’d say that we have known Kate and Gerry on a more personal level since 2002-2003 when both Kate and Jane were pregnant with Madeleine/Ella. At the beginning of their pregnancies they had been given a similar due date, although Madeleine was born about a month before (page 2) Ella. Our friendship increased through Fiona and Dave, we would often see Kate and Gerry at their house on occasions. I recall that on one occasion Kate and Gerry visited us with Madeleine, I think that the girls must have been around 9months old as they were crawling. Other than that I don’t recall them visiting us again, I know that we have been to their house for Madeleine’s 1st and 2nd birthdays but I would say that we hadn’t spent any considerable time at the MC CANN’S home. In relation to Kate HEALY/MC CANN I have only really met her since Madeleine was born, or through our meeting with Dave and Fiona. Dianne WEBSTER is Fiona’s mother we obviously met her through Fiona and Dave PAYNE, we have been friends with them for some time meeting them at Fiona and Dave’s house. We have been for trips out on their boat I’d say we know Dianne quite well. As far as I am aware there were no others due to go to Portugal, I think that Dave and Fiona had thought of asking others, but Jane and I thought that nine adults were enough. I recall that Dave and Fiona had mentioned another couple by the name of Dave and Fiona BURLING who live somewhere in Maidenhead but I am not entirely sure whether or not they were actually asked or invited. I am aware that Dianne was a late edition, but I am not sure when she was booked onto the holiday. In relation to there being any group hierarchy I’d say that that wasn’t at all the case, Dave, Matt and I have all been close friends since Medical school and see each other as equals, I don’t know Gerry quite as well but there is no problem with him fitting into the group. I am aware that Dave and Gerry know each other very well. The flight out to Portugal on the Saturday was early it was around 08:00am we all sat together on the flight and I recall that is where I first saw Jez WILKINS, he was sat near to Matt on the aisle. I recall that a lot of people were speaking to one and another as people do on the plane, we landed around 10:00am and waited for the baggage, on our arrival we were met by Mark Warner staff. We were taken out of the airport and out onto the buses waiting nearby, we sat in the middle of the coach on the right hand side. I recall that Charlotte PENNINGTON who was a nanny at Mark Warner was also sat on the bus- I believe that she looked after Fiona and Dave’s kids. It was reported in the press that she had seen Kate and Gerry at the airport but I don’t see how that would have been possible as I don’t believe they had arrived by then, I believe that their flight arrived an hour or so after ours did. Whilst we were on the bus we were given welcome packs and from what I recall we had been allocated room numbers and the packs I do not believe that it included the apartment keys (5D) but I cannot be sure. I recall that there was also a map of the area. When we arrived we parked near to the apartment reception and we were taken to our room around lunchtime. I recall sending a text message to Gerry and Dave to say that we had arrived and also a text to a friend from Germany- who had tried to ring me, I had sent a message to tell them I was away on holiday. I recall that they spoke about where to eat, the nannies introduced themselves and I recall that there were various people there from the sporting activities recruiting for their events/activities. We all went to the Millennium restaurant that evening including the children it was a 10minute walk this was around 18:00-18:30hours, it was at this meal that Matt began to feel quite unwell. We didn’t stay out late so that we could put the children to bed as it had been a long and tiring day, Jane and I didn’t stay up particularly late as we all felt tired too. The respective apartments were as follows Dave, Fiona and Dianne 5H, empty apartment 5C, Matt and Rachael 5B- which was a smaller apartment and Kate and Gerry were in 5A. I believe that the apartments were allocated to fit in with the number in each individual group- as I said previously the allocations appeared to be done prior to our arrival and may have been done following Dave’s emails to Mark Warner. I recall seeing Jez around the Mark Warner complex we didn’t speak much I hadn’t met him prior to being on the plane, I can’t recall him being on the coach from the airport but I think that he must have been on there as he was staying at the same resort. I don’t know what apartment he was staying in at Mark Warner, but I think it was quite near us. I’d like to point out that we had had the occasional conversation on polite terms as well as seeing him at tennis. Sunday 29th April 2007 I had booked into water-sports on the Saturday but I don’t think they operated on Sunday. I can’t recall exactly what I did on what day but I had booked to have windsurfing lessons and to do a bit of sailing. My recollection now is a little poor due to the lapse in time I got up around 08:00-08:30am we had breakfast at the Millennium restaurant, we went down to the beach, played a bit of tennis- but as I’m not a brilliant player I wasn’t all that bothered about playing tennis. We were booked into the Tapas bar, we ate there that night initially it was booked as a one off I think by Rachael as far as I am aware the table was booked for 20:30hours. I am aware that Rachael asked to eat there each night for the remainder of our stay this I believe was booked on the Monday morning as a block booking- the time was agreed by the group. Matt was unwell and I recall I went to see him, he had been suffering from a stomach upset so I can say that there were only eight adults at the Tapas bar that night. The good thing about the Tapas bar was that it was quite near to the apartments, and the walk to the Millennium was quite far away, the Tapas bar was also used by the kids club for afternoon tea. Kate and Gerry weren’t so flexible about meal times as their children were in more of a routine, as were Dave and Fiona, where as Jane and I are slightly more accommodating and our children have been used to staying up late on occasions. The bookings were made for the following week 20:30hours after the children were settled in bed. In relation to the childcare routine it was a collective decision made as a group, Dave and Fiona used their two way child monitor to monitor their children. Kate and Gerry made a physical check on their children. Matt and Rachael made a physical check on Grace. Jane and I also made a physical check on Evie and Ella. Jane and I made checks between courses, and would generally alternate the visits, Kate and Gerry did their checks by the clock. I’m aware that initially we would only check on our own rooms but on occasions we often listened at other apartment doors or windows, and made checks on some visits. On Sunday I recall I checked Kate and Gerry’s apartment as well as Rachael and Matt’s. I had taken Matt’s keys and I believe that their door was deadlocked the same as ours and that I would have needed to turn the key two times. We kept our shutters down, and the patio door was closed I am not sure whether theirs was the same. I recall that Kate and Gerry’s apartment was accessed by the patios door which was left closed and unlocked. I recall that their front door was accessed from the car-park access was easily gained to the apartment from the poolside. All the meals were included in the booking as was a limited choice in drinks, if anything else was ordered there may have been a need to have made an additional payment. I recall that orders may have been put onto a bar bill and paid at the end of the week. Sunday we left the restaurant early around 22:00hours the service was reasonable and quite quick, times didn’t vary all that much we may have had a drink at the bar before going back to the apartment but I cannot be sure. Generally of an evening we would drink beer or have a few glasses of wine, generally three to four glasses, I can honestly say that no-one in our group was ever drunk. I’d say that generally we had five-six bottle of wine between the group of nine, it was a similar amount most nights. Monday 30th April 2007 I recall I may have done some windsurfing this was just after I’d dropped Ella off at the kids club near the Ocean Club and Evie at crèche near to the Tapas bar. I may have done some shopping but I really can’t be certain, I recall Jane, Kate and Gerry playing tennis. We didn’t eat out at lunchtime we generally ate with Rachael and Matt and this was in our apartment or theirs, as well as at David and Fiona’s. After Madeleine disappeared we all began eating lunch at Dave and Fiona’s apartment. I think in the afternoon I may have been out with Matt, I had wanted to spend time as a family but Ella wanted to go to the kids club. Monday to Wednesday I can say that the days were all very similar and it is difficult to distinguish one from each other. I know that on one of the evenings either Monday or Tuesday I stayed in the flat with Evie as she wasn’t well Jane brought my meals over to me this was mentioned in my first statement. I feel that this is more likely to have been Monday as I feel that we were all together as a group on Tuesday- nine adults. I believe that this was when the Trivia quiz had taken place. I recall going for a sailing lesson on Tuesday and Jane went to play tennis, we collected the kids as usual around lunchtime, Kate and Gerry had lunch in their apartment as they did on most days. I went out in the afternoon to the beach I was with Matt and as far as I can recall we went out kayaking. The children were in bed as usual 19:30-20:00 they appeared to be well asleep and checked that they were prior to leaving the days were generally uneventful up until Thursday 3rd May 2007. On Wednesday Rachael was ill, we stayed out later than normal, after our meal we sat around and then moved into the bar area we stayed for around 45minutes to an hour, this was our only ‘late night’ of the holiday, I recall we had a cocktail. Checks were made as usual we would alternate completing the checks and this was done every half hour or so. I listened at (page 5) the MC CANN’S apartment and believe that this was around 23:00hours, on all occasions the children were ok. During the week I checked on some occasions and listened at others. On the 3rd May 2007 I saw Madeleine in the morning a couple of times this was when I dropped Ella off. I took the kids up to breakfast at the Millennium club and walked to the Ocean Club I was late getting Ella there, the kids were having a great time at the kids club and all appeared to well. I went to the flat with Evie, whilst she was resting I read a book. When she woke up we went outside to watch Jane play tennis I saw Madeleine at lunchtime I can’t recall if Jane or I collected Ella it’s all a bit hazy now. I recall that Jane had been having a tennis lesson also there was Kate and Rachael. We were watching some children have their lesson this was before lunch. I recall that one of the guests a guy from Southampton came over his daughter was playing tennis, he wanted to take a picture but expressed to us how uncomfortable he felt in doing so- he said something similar to feeling like a pervert or a dirty old man when taking a picture of his own child, I do not wish to implicate him. I recall that the child was of a similar age to Madeleine and Ella. I recall that Madeleine and Ella had had a similar lesson the day before. We agreed that in this day and age taking a photograph of your own child you shouldn’t be made to feel uncomfortable, it was a horrible coincident. I would like to stress that I do not think that this man had any involvement in Madeleine’s disappearance. I feel that it was a haunting coincidence. Ella went back to the kids club and I went out with Matt sailing, I Jane was looking after Evie. Whilst I was out sailing with Matt he fell in the water, I had to sail back to save him this made the day quite memorable that and it being the best day weather wise. When we came back Jane was at the beach with the children, I recall that at some point around 17:00-17:30 Kate was out running she was dressed in her full running kit which was a vest and shorts- one item was grey and the other pale blue but I cannot say which way round. When Kate ran past on her run she didn’t speak to us, but she did acknowledge us as a group. We didn’t stick to our usual routine so much that day the children stayed with us and ate their tea at the bar by the beach called the Paridiso. Everyone was there at the beach except Kate, Gerry and their kids. I collected Ella from the Ocean Club before she went up to tea at the Tapas Bar, I cannot say whether Madeleine was there or not. It was a warm day, good afternoon I recall that I went up to the social tennis around 18:00hours with Matt I think David went to the apartment and then up to Gerry’s. I played tennis for around an hour to an hour and a half, Dan the tennis coach was also present, as were some other male guests and Gerry we played a mixture of singles and doubles. The kids came up with Jane, Fiona and Rachael from the beach, but not the MC CANN’S children I presume that they were at the apartment. They stayed for a short while before going back to the apartment to be bathed and put to bed. I got back to the flat around 20:00hours as we were running late we had to take the rackets back with us. The children were in bed Jane went down to the restaurant around 20:30-20:40hours I remained in the flat for another ten minutes or so waiting for them to settle down. I went down to the Tapas bar the adults of 5H were running late as usual, David and Fiona are always late and it is a standing joke in our group. Around 21:00hours Matt was going over to check on Grace so he said he would chase (page 6) the Payne’s up as we were all waiting to order and we were conscious that the waiting staff wanted us to place our orders. I believe that he listened at the windows on his way to find the PAYNES having gone to check on Grace. The evening was the same as evenings before Kate and Gerry were behaving entirely normally. Following Madeleine’s disappearance and subsequent search we had made a time line together this will show what time Gerry left the table. I don’t recall at what point but it was around 21:05 Gerry left the table was only away for a little while, Jane also went to check the children and was gone for a minute or so. The children were ok she didn’t mention anything unusual. After we had eaten the starters I needed to go to the toilet so Matt and I decided we would go and check on the children. We walked together I recall that the light was fading I went straight to 5D I could hear Evie was murmuring. I went into the apartment and Matt went into his. I went to the toilet to urinate and then started to clean up Evie and change her, Matt came into my apartment and asked if I needed any help. It was getting darker by this time. I said to go back and tell Jane that Evie was unwell. I sat in the lounge and read to Evie Jane came back having eaten her meal. We stayed together in the apartment for around 5minutes. I went across to the Tapas restaurant this would have been around 21:45hours, Jane remained with Evie. The group joked about Jane having been to relieve me they were all in good humour. Kate left the table there was nothing significant about her leaving but I think it was a similar time to my meal arriving. I think that this would have been around 22:00hours, I didn’t have a watch or phone to check the time but Rachael did ask for the time and 22:00hours was mentioned. I know that she didn’t leave straight after me arriving back as the waiters had agreed to cook me a fresh meal. Kate returned through the reception area standing at the end of the path near the stones, and yelled over towards our table in the Tapas bar I cannot recall exactly what she yelled but it was along the lines of Maddy is missing. We all got up immediately except Dianne who remained at the table. I am fairly sure on the time, I have put a great deal of thought who may have been watching us during the week, but all appeared quite normal to us, the people who would have known our routine would have been the waiters. I can’t recall any other people dining in the restaurant at the time, there would have been people in there but as we ate quite left they would have left during our meal. We went over to Gerry and Kate’s apartment I didn’t go in to the apartment. I can recall it would have been a similar layout to ours, although the furniture and décor was different to ours as the apartments are leased. I didn’t go into the bedroom on this occasion, but I’d imagine that there are wardrobes in there as there are in ours. When I had been into the apartment on previous occasions it had been dark. During the interview I drew a seating plan of the Tapas bar and who was sitting where which I have previously marked and produced as my exhibit. On the evening I was wearing brown jeans/cord style trousers, a pale blue stripe top, and Jane had taken my jumper which was blue. The nights were quite chilly which is why Jane had my jumper I am quite use to the cold. When I went to check the children I went to my flat first then Matt walked on to his flat 5B, I believe that he was gone for around 60-90seconds. Then he checked on the MC CANN’S children having left my apartment. This was the final check before Madeleine was noticed missing, nothing appeared to be unusual and there was nothing that suggested we were being watched. When Kate raised the alarm she didn’t get to the table as the area was all enclosed, she was at the start of the path she shouted across to us. We ran out through the reception we were all in a panic some people went into the flat I stayed outside, I then conducted a quick search of the immediate area with Matt, Dave and possibly Gerry. We searched a cul-de-sac area which I would describe as being a passage way at the front of the block on the car park side. We went on to search the gardens and patios. Then we went downhill towards the centre. On the second search we went to the shopping centre and then towards the tennis courts. We searched around the back of the tennis courts. On my way back I bumped into Dave he said to me this is bad this is really bad they’ve not found her. We searched down to the beach I searched the East side, and Matt and Dave the West side. We went back to 5A it was clear that panic was setting in Gerry was on the phone to a family member back home, for someone that is such a strong character he is usually so calm, decisive, confident. He was lying on the floor in hysterics, he had a high voice crying like a baby, I didn’t know what to say. By this time we had been joined by Ocean Club staff I am aware that Fiona and Rachael had spoken to Jane. Jane has been made to feel frustrated, like she is a sympathetic witness, a fantasist and a liar. She feels that the P.J do not believe her. I went to Jane she was with Rachael I hugged her she said “I knew there was something odd, I knew it was strange”. “I watched someone carrying a child”. She played it down Jane’s character is to be calm, composed but she wasn’t herself at this time. She was adamant that she had seen the man, and that the child could have been Madeleine. She feels there is a good chance she witnessed the abduction. I know that Kate and Gerry were NOT involved at all, I saw Jane she was shaking she had a terrible realisation the she may have seen Madeleine being taken away. We have been crying out for these interviews I have never seen Jane like this before. We have coped- somehow we have been keen to be there to put across our feelings, we have struggled in silence, what Jane saw was suspicious she is NOT a liar, a fantasist we as a group have nothing to gain by giving false evidence or creating false leads. I was asked who I spoke to? People in the bar at the shopping centre. Older groups of Portuguese people near the front, and a female possibly member of staff from Mark Warner. I am not sure who informed the authorities or media of Madeleine’s disappearance but Gerry may have informed the authorities along with Matt. As for the media I think Rachael called a friend who works at the BBC. I loathe the media even more so now, I have a very low opinion of them Dave was also seen keen to make use of the media and think that he may have constructed an email- but I am not sure whether that was actually sent. I know that there were attempts to contact the British Consulate. Searches- I searched mainly on my own, although we were all close by to each other. The searches weren’t really planned no plans were drawn up and there wasn’t really any particular structure. There may have been places that we missed, it was hap-hazard and panicked. It wasn’t well organised. Leave doors/windows open- We didn’t leave doors/windows open. We did sit outside on Saturday along with other days on the patio, we wouldn’t have left it open once away. Checks on children- Checks made on children, we had the routine already outlined in this statement. How often- four-five checks per evening. Kate and Gerry checked by the clock, where as Jane and I checked between courses, I don’t have any recollection of the MC CANN’S children crying had I have heard them crying I would have checked on them. Confirmed his mobile phone number. Number ending 678- belongs to Susan HEALY mother of Kate MC CANN, believes that the call recorded was made by Fiona Payne who had borrowed his phone due to her battery being flat. Number ending 842- belongs to Brian HEALY again cannot account for call doesn’t believe that he made or received it and may have leant the phone to Fiona. Number ending 801- his mother text message asking how holiday was going and checking on their welfare. Landline number- his parents home spoke to parents again to check on welfare as distressed and upset by Madeleine’s disappearance. Number ending 603- Anthony NICHOLLS colleague, call made wanted to make him aware that he would be away for a longer period, but as he was also away conversation cut short, and called another colleague. I wish to clarify that I have only met Susan and Brian HEALY previously at Madeleine’s birthday parties. I then met them after they flew in following Madeleine’s disappearance. Clarified light beginning to fade, when Jane left the table reasonable amount of light, aware that there were street lamps in the area. Route back from table- shutters didn’t look at them, but would have noticed if there was anything suspicious or untoward- felt that it was a loaded question. Inner route would take less than minute and outer route just over a minute. Shown a typed time line typed on a lap top borrowed from female tennis coach Georgina, seven adults there when time line drawn up, then shown to the MC CANN’S afterwards for them to make any alterations or additions. Was written after the first weekend after Madeleine’s disappearance this was following David PAYNE’S suggestion. It was checked against initial draft, it was a group recollection and with the groups agreement. The document was typed on the laptop USB flash disk which was handed to the PJ when I went to complete my statement. Clarified who Dan was- Tennis coach from Mark Warner, saw him in car when conducting the search- he was in a car, and had other occupants but cannot say who. He went on to search area which was in darkness. Comments- I am troubled by MURAT’S denial of being there on the night of Madeleine’s disappearance and assisting in the translations. This has troubled me he would have an alibi had he have been honest about being there. The statement given in Portugal are true and accurate, other people put MURAT there on the night one of those being Sylvia head of house keeping. I would like to point out that I do not wish to change the statement given to the PJ but have reservations that the time may have been inaccurate and it may have been the following morning when I saw him. Our statements have been previously given in good faith I am positive that he was there on the night. What I said in my statement was right. 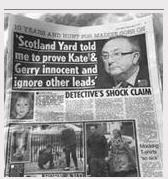 To attend for re-enactment, no great willingness to attend suspecting Kate and Gerry or the group is very very wrong. How do we all move on we have been unable to defend ourselves in the press, we have been threatened, the press just magnify things, our professional status has been threatened I have had the press ringing my ward, Spanish reporters running around the hospital. It is unbearable. There are various websites set up about us all we have been reported, on our lives are no longer our own. It appears to us that the PJ are trying to nail someone in the group or Kate and Gerry for this, to us they are now doing too little too late. This all should have been done in the first 10-14days. At least now there is a genuine attempt to further their investigation, we have had so much adverse publicity, we are not hiding anything. We would only really be willing to attend now if Kate and Gerry’s Arguidos status was relinquished, and the media be shown that they are NOT to blame for this, none of us are. This now needs to be managed in a way that is mutually agreeable to both sides now, we don’t trust the environment we don’t feel that we would be safe going over there. We are willing to help with the investigation, Jane is not willing to go back and I don’t think that we would be able to cope with it. Jane is calm and composed and able to deal with things, but how is she expected to cope with all the slating in the media. I cannot stress enough that we as a group have not been involved in Madeleine’s disappearance, we have only ever tried to help the PJ and investigating officers with the investigation into her disappearance. If we are to be expected to return to Portugal for this re-enactment then we will need certain assurances. I wish to add that this statement may appear at time to be disjointed but these are my responses to questions posed by Leicestershire Constabulary Officers on behalf of the PJ and the MC CANN family. This statement is made by myself and is true to the best of my knowledge and belief. Russel James O'Brien was allowed to read a previous statement fom his wife, Jane Tanner, before being questioned by Leicestershire Police, on April 2008. 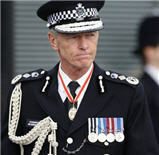 The questioning, with the presence of PC Andrew Gierc, was videotaped and at the beginning of the video recording, O'Russell states that he was allowed to refresh his memory concerning the events on the night of May 3, 2007, by reading what Jane Tanner, also questioned by Leicestershire Police, had stated before him. - Can someone offer the Leicestershire police a high quality video camera? - One that actually works please? I am Detective Constable 4078 FERGUSON of the Leicestershire Constabulary currently stationed on the Major Crime Unit and engaged on enquiries on Operation Task. At 10:19 hours on Wednesday 9th April 2008 I was present at an interview suite at Leicestershire Police Force Headquarters when I commenced a recorded interview with the witness Matthew OLDFIELD. The interview ceased at 11:22 hours. This interview was recorded onto DVD and a master copy and a working copy were produced. At 11:54 hours on Wednesday 9th April 2008 I was present at an interview suite at Leicestershire Police Force Headquarters when I commenced a recorded interview with the witness Matthew OLDFIELD. The interview ceased at 13:08 hours. I have had the opportunity to read and check through a transcript made of this interview and I produce the transcript of the interview as exhibit reference S.V.F.118A. At 14:14 hours on Wednesday 9th April 2008 I was present at an interview suite at Leicestershire Police Force Headquarters when I commenced a recorded interview with the witness Matthew OLDFIELD. The interview ceased at 14:51 hours. Technical problems were experienced during this interview and no data was recorded. 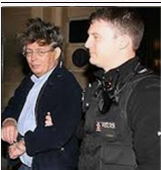 At 15:18 hours on Wednesday 9th April 2008 I was present at an interview suite at Leicestershire Police Force Headquarters when I commenced a recorded interview with the witness Matthew OLDFIELD. The interview ceased at 15:38 hours. I have had the opportunity to read and check through a transcript made of this interview and I produce the transcript of the interview as exhibit reference S.V.F.122A. During this interview process the witness Matthew OLDFIELD marked on a copy of exhibit D.M.2 (a plan of the area) which is now produced as exhibit reference M.O.1. 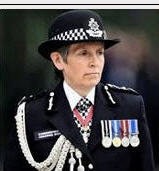 Later the same day I returned to Barunstone Police Station where I placed all of the discs for the interviews and exhibit M.O.1 into a secure store. At 15:10 hours on Monday 14th April 2008 I it out of the secure store and handed exhibit M.O.1 to exhibits officer 7383 CRAVEN. At 15:50 hours on Monday 14th April 2008 I handed exhibits S.V.F.115, 116, 117, 118, 119, 120, 121 and 122 to exhibits officer 7383 CRAVEN having taken them out of the secure store. AT 8:15 hours on 8th May 2008 I took exhibits S.V.F.116, S.V.F.118 and S.V.F.122 from Exhibits Officer CRAVEN and retained possession of them until 09:00am on Friday 9th May 2008 when I returned them to Exhibits Officer CRAVEN. This is quite an interesting statement and worthy of further analysis. Yes, it does appear to be an opportunity for O'Brien and the rest of the tapas group to get their stories straight, especially as they were obviously allowed to confer and see each others statements beforehand, not to mention the fact that O'Brien was given a second shot at this. What on earth did he say the first time around? What would Peter Hyatt make of this? I recall that on one occasion Kate and Gerry visited us with Madeleine, I think that the girls must have been around 9months old as they were crawling. 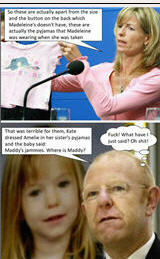 - Where were the McCanns living when Madeleine was age? I recall that Charlotte PENNINGTON who was a nanny at Mark Warner was also sat on the bus- I believe that she looked after Fiona and Dave’s kids. - I thought they used a monitor. Did O'Brien recognise Pennington & Wilkins on the bus? Did he know them before? Surprise, surprise, O'Brien cannot remember what he did on the day that many of us believe that Madeleine died. Could this be the day that the PJ traced O'Brien & McCanns mobiles to an area where they found a bloodstained towel with fibres that matched those found in hire car, in that disused barn?